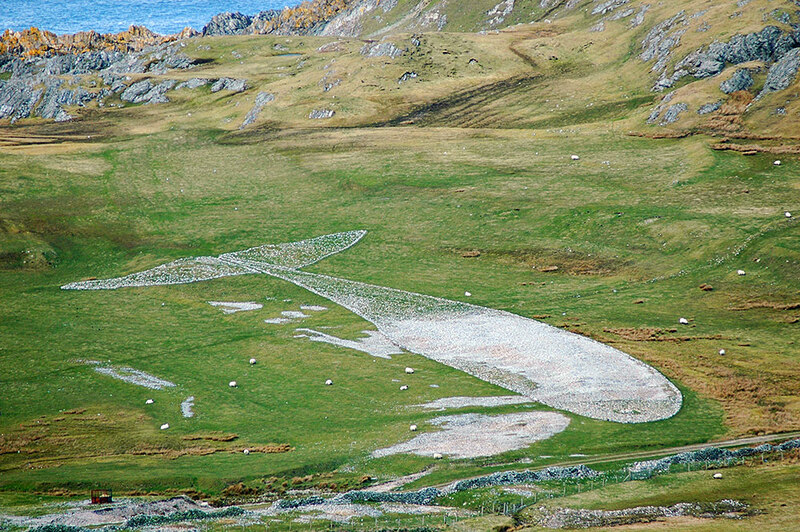 A fascinating art work on Islay’s neighbour Colonsay, created by artist Julian Meredith and continuously being improved by visitors. Visitors are encouraged to add stones from surrounding raised beaches (e.g. Balnahard) to the outline created by Julian. While you can see from ground level the best views are from nearby hills, here from Carnan Eoin. This entry was posted in Colonsay Excursion, Landscape, New Post, Sunny Weather and tagged Balnahard, Carnan Eoin, Colonsay by Armin Grewe. Bookmark the permalink.